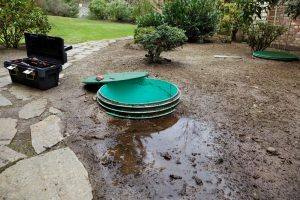 When you have a septic system on your property, you will find that it can be a very effective outlet for the removal of your household wastewater. You need to have a team of professionals that you can call for assistance whenever you find the need for repairs or regular maintenance. If not, you will have difficulting keeping the septic system in good working order. As a dependable septic repair service in Sultan, Schleg Valley Construction is always there to help. It is always a smart move to have your septic system looked at by a professional every couple of years so that you can have an inspection done. In addition to that, regular pumping helps to keep other issues from brewing into something that is potentially much worse. However, even with regular inspections, there can still come a time when mechanical or electrical elements will need to be inspected or replaced much sooner. The chances are good if you cannot remember when the last time was that your septic system was inspected, it has already been far too long in between inspections. If you have a septic system that comes with an alarm and it goes off, you need to call on someone right away to come out to your home to assess the problem. We will be happy to make our way to your property so that our trained and certified technicians can address the problem and start working on a plan to get the repairs done for you as soon as possible. It is important to work with professionals when looking for a septic repair service in Sultan. Call Schleg Valley Construction at (425)312-6750! We are a full-service septic company offering everything from septic design and installation, any of the permits involved, regular maintenance, and dependable repairs. You can always count on us for the best.